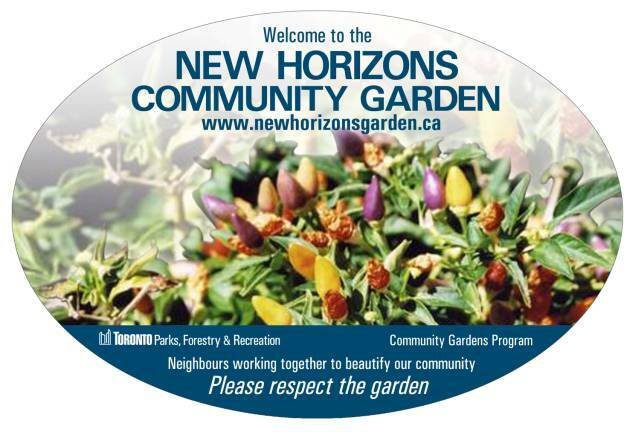 The New Horizons Community Garden has been a remarkable success. The Bosnian seniors and their friends from different regions of former Yugoslavia have turned empty, dirt plots into thriving garden in just two months Photos. In fact, it has becomeone of the main attractions of the neighbourhood! Everyone who walks by the garden is curious and people often stop to ask questions. Several visitors have congratulated us on our successNews?. Four new families with different backgrounds (Polish, Portuguese, Ukranian and Chilean) joined the groupshortly after it opened and began diligently tending their plots. The gardens is also admired every day by riders on the Bloor subway line who can see it near Islington station. Visiting the garden is always an uplifting experience: it's so wonderful to see members of the community working togather in harmony and for a good cause. Our garden is so beautiful because the gardeners are very passionate about caring for it. They work on it with love, enthusiasm and dedication. While tending the plants, they are able to share their experiences and talents, and they have an abundance of both. The garden is like a magnet that draws people togather. Most participants come to the garden almost daily to see how their plants are doing and if they flowers need watering, but most importantly to visit with friends. 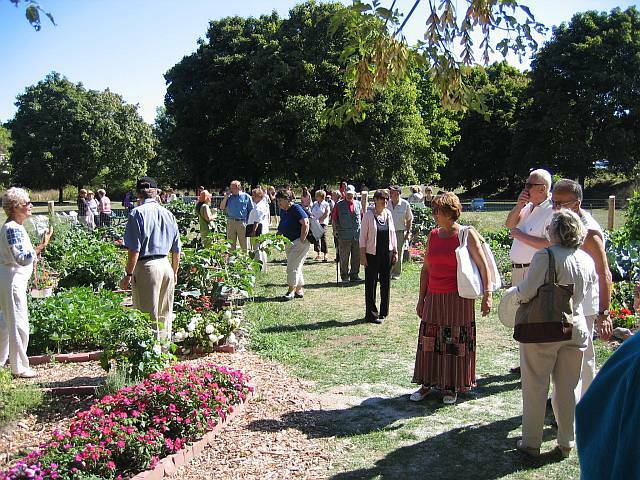 The garden is a special place where people gather to chat, to tell jokes and to laugh, to sample someone's homemade squash pie, and just to relax. Because of the garden, many people feel that for the first time since immigrating to Canada, they belong. They feel happy, proud, useful and valued. And since they are responsible for organizing, maintaining and managing the garden, the seniors already have plans for how they will build their success in the future. They plan to create educational workshops about organic gardening or composting. Also, they plan to network with other community gardens and to collaborate with neighbouring schools, seniors' groups and the of the community.